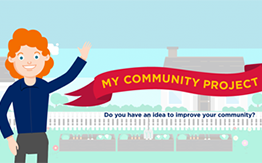 Dubbo Regional Council invites eligible community organisations to take advantage of its Financial Assistance Program and apply for a share in $15,000. To be successful, applicants must meet criteria based on merit and benefits to the community and be based in Dubbo Regional Council Local Government area or deliver a service or activity in Local Government area. Council’s Community and Recreation Director, John Watts, said that previous recipients included charitable, health, animal wellbeing, and environmental organisations, as well as special interest groups. “Council dedicates $30,000 to the Community Financial Assistance Program each year to help ease the burden of not-for-profit organisations that contribute to our community,” Mr Watts said. The first round of funding for 2019/2020 - Council will open in July 2019.